Another Analog Africa compilation, this time of the Guinean vocalist Amara Toure. Read the review in Dutch here. This program is dedicated to the music that played at the Houtfestival in Haarlem (Netherlands). First part focusses on a few bands that played in 2014 at the festival, the 2nd an 3rd part focus on a selection of bands performing in 2015. Tracks from a.o. : Jambinai, Ndima, It Documer Lokaeltsje, Sondorgo, Khaira Arby and Vardan Hovanissian & Emre Gultekin. Check here. 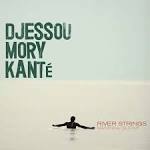 The newest album by Mali’s Bassekou Kouyate & Ngoni Ba is reviewed in Dutch here. Traditional music from Sudan in the Al Sabata style, or so-called ‘carpet music’. Find the review in Dutch here. This great guitar player plays lead guitar in the band of Sekouba Bambino and also plays in the tour band of Salif Keita. This is his first album under his own name. Check the review in Dutch here. Strictly afrobeat this time! Of course a track from Fela Kuti, but also tracks from Segun Bucknor, Orlando Julius & His Afrosounders, Koffie, Zitakula, Muyei Power, The Kutimangoes, Fanga and Kokolo. Check! Another mixture of all styles of music, with a.o. Les Gypsies de Petion Ville, Guerilla Toss, Naked Wolf, Drai-Ston, and Thepporn Petchubon, Listen here. A hotch-potch of music, weird, world and whatever. Music from a.o. Kim Young-gi, Rooie Waas, Angkanang Kunchai, Meridian Brothers, Jacky Molard Quartet, De Beren Gieren, Typhoon, and El Cacique de Menkoremon. Check! One hour of great soukous music, not only from Congo, but also from Benin. Listen to artists like Lemed Janvier, Loketo, Mose Se Fan Fan, Celi-Bittsu, Nyboma, and Singer Nahounou & l’Orchestre Poly-Rythmo de Cotonou.